COMMIT!Forum will convene hundreds of corporate social responsibility leaders and CEOs from CR Magazine’s annual 100 Best Corporate Citizens ranking. The event includes a pre-conference workshop on integrated CSR and sustainability reporting from BrownFlynn. Join MGM’s Chief Diversity and CR Officer Phyllis James, Terracycle CEO Tom Szaky, Aman Singh, editor in chief of Futerra, and Icema Gibbs, head of CSR at JetBlue Airways. More information here. Few brands are as famous for their social activism than Ben & Jerry's. The Vermont ice cream maker with global revenues of more than $1.2 billion (2015) is as much known for its social conscience as for its creamy, irresistible ice cream flavors. Pick a flavor and chances are you'll walk away with more than just a good feeling in your tummy: You'll feel you're making a statement. The carefully-chosen names of flavors like Empower Mint and Fossil Fuel ice cream help to send a message to consumers about Ben & Jerry's values. A mint ice cream with a name that subtly reminds its fans about the importance of social justice and voting rights gets attention. And so does a rich concoction of fudge dinosaurs and chocolate ribbon when it becomes a conversation starter for why Alaska's arctic wilderness shouldn't be drilled. And in each of these advocacy efforts, says Chris Miller, Ben & Jerry's activism manager, there's another, more visible message: that it is important to support nonprofits like the NAACP, which organized those voting registration drives and Greenpeace, which has lobbied to stop Arctic drilling. It's the nonprofits that are leading the advocacy efforts and according to Miller, provide the true impetus behind the social advocacy campaigns. "We look to them for strategies," explained Miller. Organizations like the Alaska Wilderness League, which was awarded a $70,000 grant by the Conservation Alliance in 2005 was the on-the-ground organizer and lobbyist (along with Greenpeace) to marshal support against drilling in Alaska's remote wilderness. The NAACP, well versed in fighting for voter rights, organized a nationwide voter protection campaign while ensuring elderly and remote residents in contentious areas like North Carolina were able to register and to vote. Ben & Jerry's role, said Miller, is to determine how "we leverage our toolbox to advance the strategies of the wider movement." And while consumers are always at the forefront when it comes business decisions, it's important, says Miller, that its fans understand that its advocacy choices are based on values, not on the company's potential benefit. "It’s not about us, it’s about supporting policies that address root causes," he said. "[Across] all aspects of our business, we put our fans first, except for our advocacy work. The campaigns we run are not about rooted in what we believe our fans care about. Instead, we start inside, with what are our values and what is the change we seek to make in the world. And then we design campaigns that are engage and educate our fans and ultimately inspire them to take action." To consumers, knowing that these are hand-picked issues that Ben & Jerry's founders truly care about speaks to the heart of why they support many of its causes. "I think rooting this kind of work in the founder's values is an important part of what makes our work authentic and credible. These aren’t made up things we care about, they come from our founders passion for social justice." 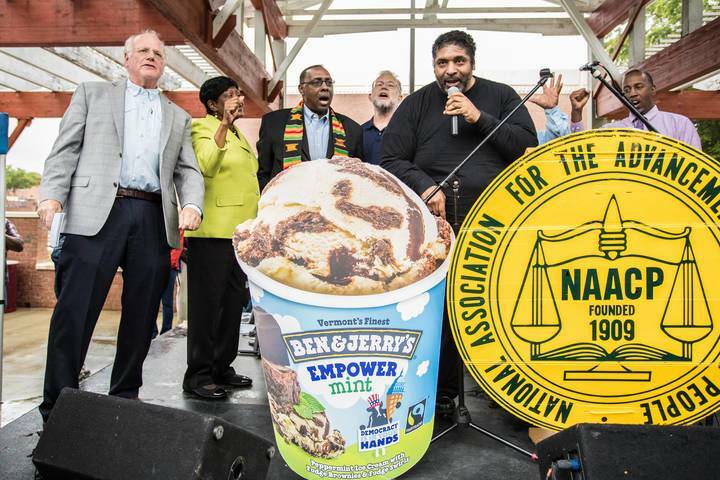 Miller admitted that even though Ben & Jerry's works hard to separate how it runs its business decisions and its advocacy efforts, there is an interrelationship between the two: Its consumers trust its advocacy choices because they trust the company as a business, and vice-versa. And yes, that's ultimately good for business. "[The] strongest connection we can have with consumers is a shared set of values," said Miller, which is why being "authentic and credible" is key to a successful business. And it also means accepting that not everyone is going to agree with your views. "Some people are going to disagree ... but the flip side is you do create a consumer base," supporting Ben & Jerry's credo that "It is better to be loved by some than to be inoffensive to everyone." Even though the company's support in 2016 of Black Lives Matter was controversial, the messaging that the company sent out appealing to its fan base to "join us in not being complicit" received huge support. Celebrities like Mark Ruffalo, Katy Perry and Jack Dorsey jumped behind the effort, bringing even more visibility to a blog post it had published. "We don't need everyone to love us," said Miller, and that admission may be part of why its fans trust in its authenticity as a brand and an advocate. As to determining whether the effort invested has been worth it, Miller said, "We judge the success of the campaign by whether we win or lose them." The company manufactures most new flavors in small batches and may retire them after the campaign is over. That keeps consumers' interest fresh. "I think the trick to what we do is .. to make them engaging and relevant to our fan base." 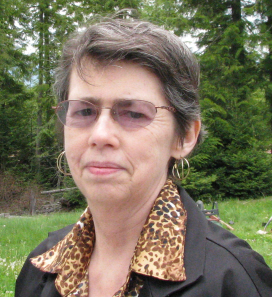 Jan Lee is a former news editor and award-winning editorial writer whose non-fiction and fiction have been published in the U.S., Canada, Mexico, the U.K. and Australia. Her articles and posts can be found on TriplePundit, JustMeans, and her blog, The Multicultural Jew, as well as other publications. She currently splits her residence between the city of Vancouver, British Columbia and the rural farmlands of Idaho.